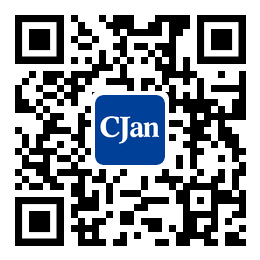 ﻿ The Brief Introduction of PFA Lining Material - CJan Fluid Technology Co., Ltd.
PFA: whose English name is Polyfluoroalkoxy, Chinese name is tetrafluoroethylene - perfluoroalkyl ether copolymer (also known as perfluoroalkylate, soluble polytetrafluoroethylene). The chemical performance of PFA, FEP and PTFE is similar, but FEP can only be used under 200 degrees, and PTFE cannot be molded. The melting point of PFA is about 580F, and the density is 2.13-2.16 g/cc (g/cu cm). PFA is similar to PTFE and FEP, but at above 302T, mechanical properties are slightly better than FEP and can be used at temperatures as high as 500F, and its chemical resistance is comparable to that of PTEF. PFA products are used for molding and extruding granular products, for rotational molding and coatings powder products; Its semi-finished products are, for example, films, plates, rods and pipes. The performance of PFA is as excellent as PTFE, and it has good thermoplastic, heat resistance, cold resistance, chemical stability, mechanical and insulation, self-lubrication, folding resistance, excellent resistance to cracking. Not only has the same temperature with PTFE, but at 250 ℃ it has better mechanical strength, and its resistance to cracking performance is good, the force of its wide range of processing, molding performance is good, suitable for molding, extrusion, injection molding, transfer molding processing. 2. Applicable scope: at present, domestic products are mainly used for anti-corrosive acid and alkali injection molding, high-temperature wire and cable, anti-acid and alkali lining parts, blow molding products, corrosion resistant lining of chemical pipes, valves and pumps.